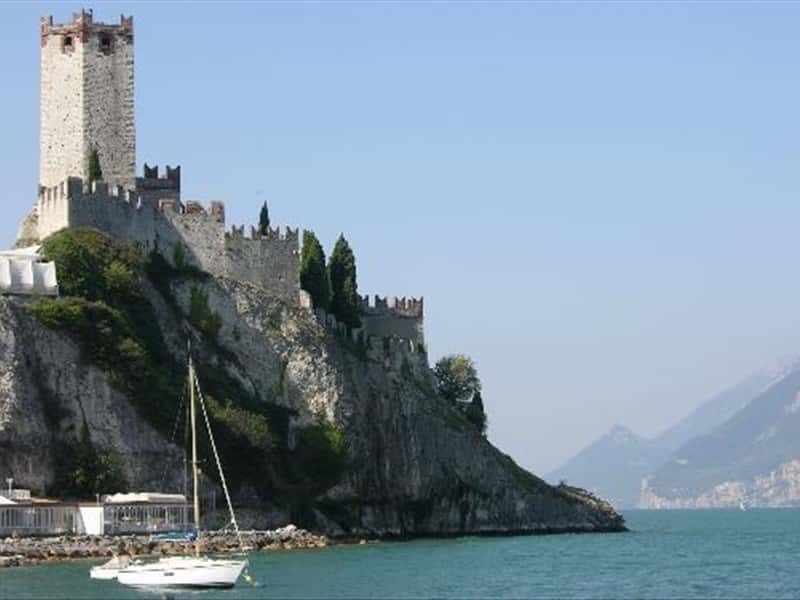 Municipality in the province of Verona, located on the eastern shore of Lake Garda, on a rocky ridge that seems to rise from the waters of lakes, creating a particularly picturesque scenario, the territory of Malcesine stretches from the shores of the lake to the summit of Monte Baldo. It is a tourist, artistic and historical center which preserves its medieval style, with houses joined together by small arches that shade the narrow streets, lined with pebbles. The area was inhabited since ancient times and later colonized by the Romans, who built several fortifications. After the Fall of the Empire, the area was exposed to the repeated incursions and looting, by Lombards, Huns and Franks. This situation led the people to build their houses around the castle, in order to have a better protection. The area was ruled by the Bishops of Verona and in the second half of the XIII century, the town was assigned to the Scala family. During the Middle Ages, the entire area was subject to a great urban expansion that necessitated the construction of a first circle of fortified walls, of which traces still remains to this day. After a further expansion, a second wall was built, of which unfortunately, today, nothing remains. Since 1405 the territories submitted the domain of the Serenissima Republic of Venice. This town web page has been visited 36,090 times.